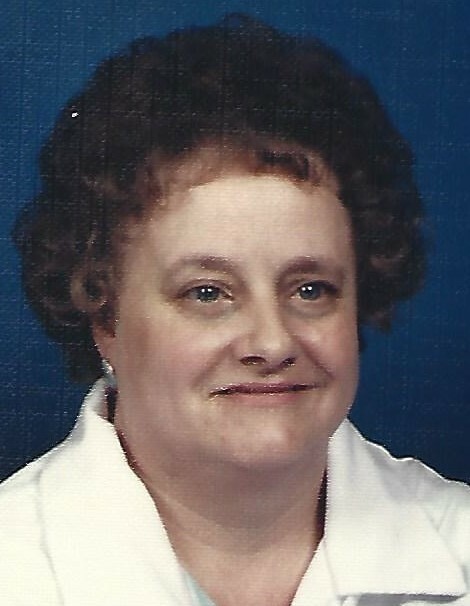 Carol Jean Lassen, 75, was welcomed to heaven by a host of departed family and friends, late on the evening of March 15, 2019. She was born June 24, 1943 to Virgil Charles and Florence La Von Ingram in Ravenna, Ohio. She married, Andrew Jay Lassen, September 21, 1962 in the Manti, UT LDS Temple and was blessed with three children; David, Julie, and Shawna. Carol was unfailingly kind and loving and she was very much loved by anyone and everyone who knew her. A true "fifties" gal, she loved Coca-Cola, diners, oldies music, and the USA. She could twirl a baton like a pro, but couldn't help spilling on herself every time she ate (only passing on one of those attributes to her family). She was a spark of joy and strength to all who knew her. She is preceded in death by her parents, husband, two of her children, David and Shawna, and her special friend Glen. She leaves behind her daughter, Julie (Rick), and her sister, Ann (Val), as well as fifteen grandchildren, eleven (soon to be twelve) great-grandchildren, not to mention hundreds of teapots. Funeral services will be Monday, Mar 25, 2019, 11am. Tooele 4th Ward building. A viewing will be held at 9:30 a.m.-10:45 a.m. prior to the service. Burial will be in the Tooele city cemetery immediately following the funeral. I love you mom! I look forward to the day I see you again!! Deeply heartfelt thanks to the Tooele EMS, Tooele City PD and Mountain West Medical Center ED for their valiant efforts. You all went way above and beyond!